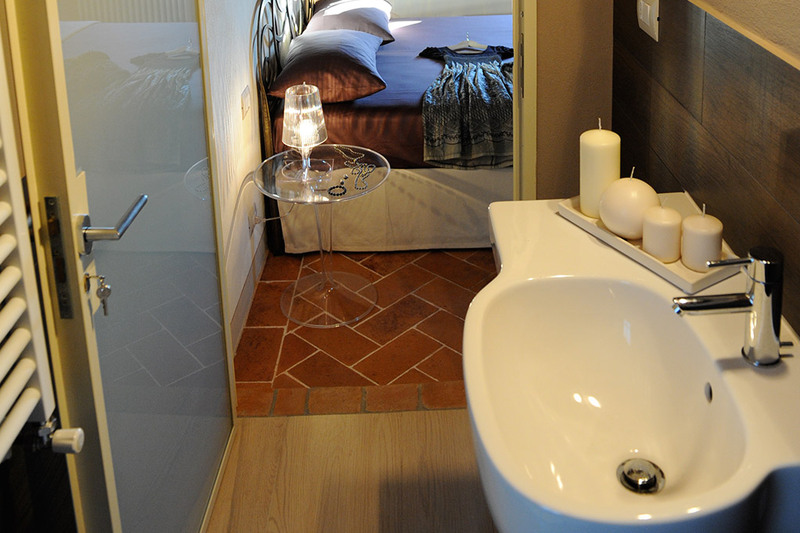 The ground floor consists of a living-dining area, a kitchen equipped with every comfort, the “Cupid’s Dart” bedroom and a bathroom. 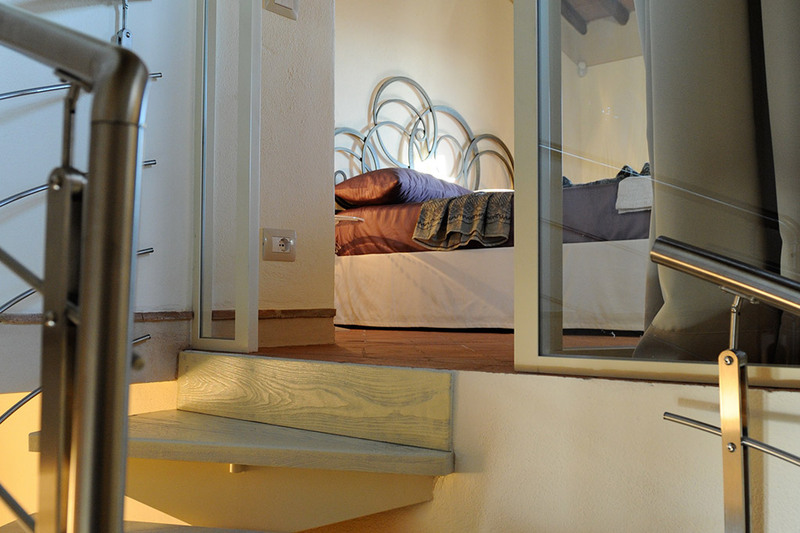 You can get to the upper floors either through a stone-staircase leading onto a small balcony from which you can enjoy, when the weather is fine and clear, the view of the far off sea) or through an important steel and wood spiral staircase, lit after the modern style, which allows the view of the striking stone wall next to it. 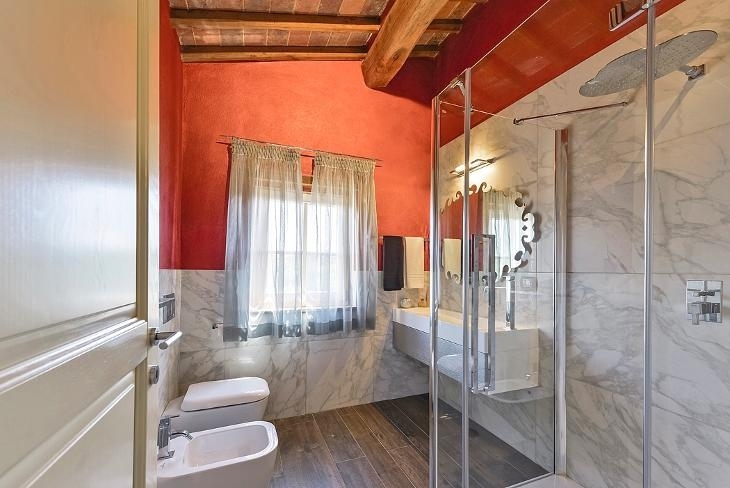 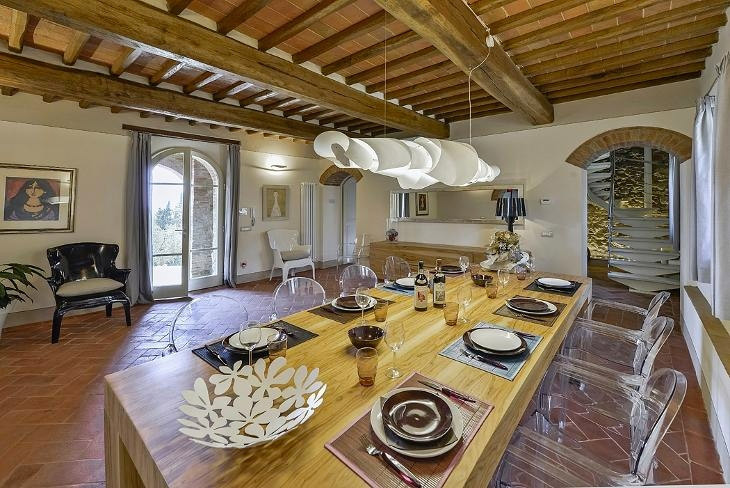 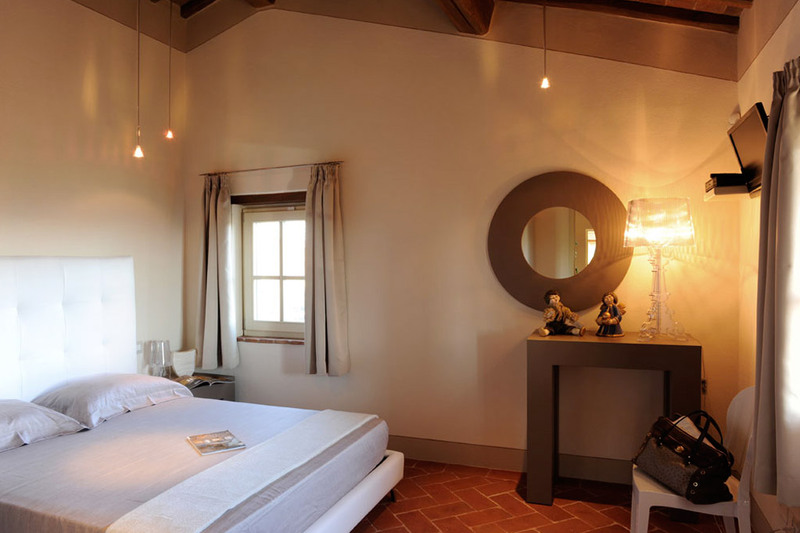 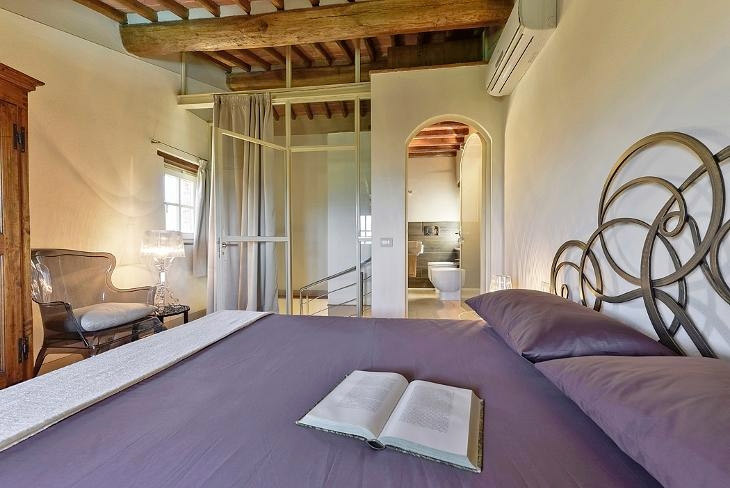 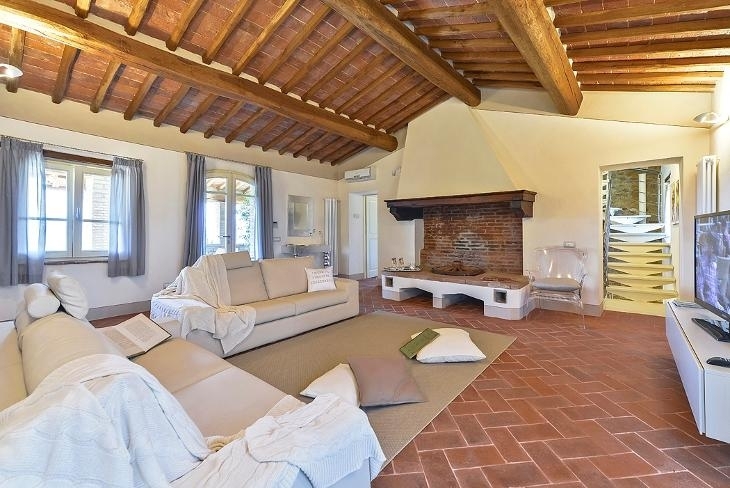 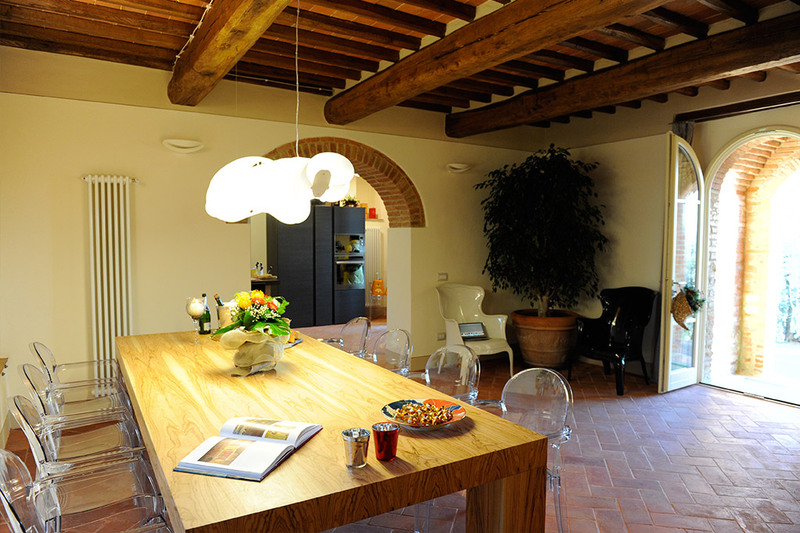 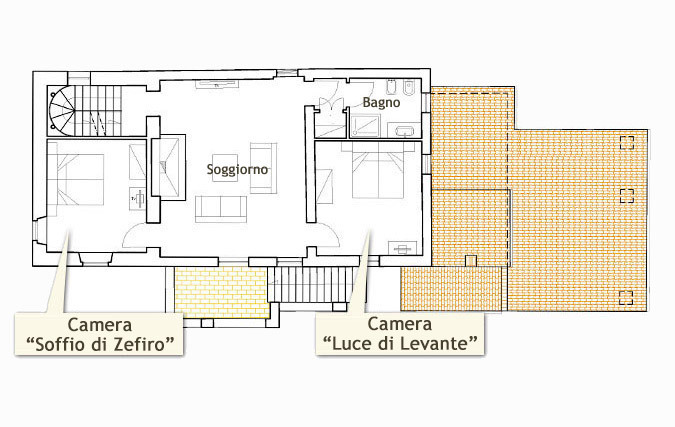 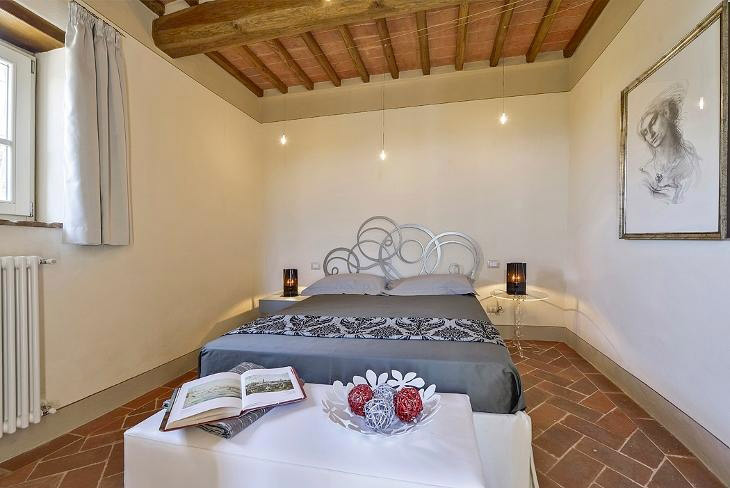 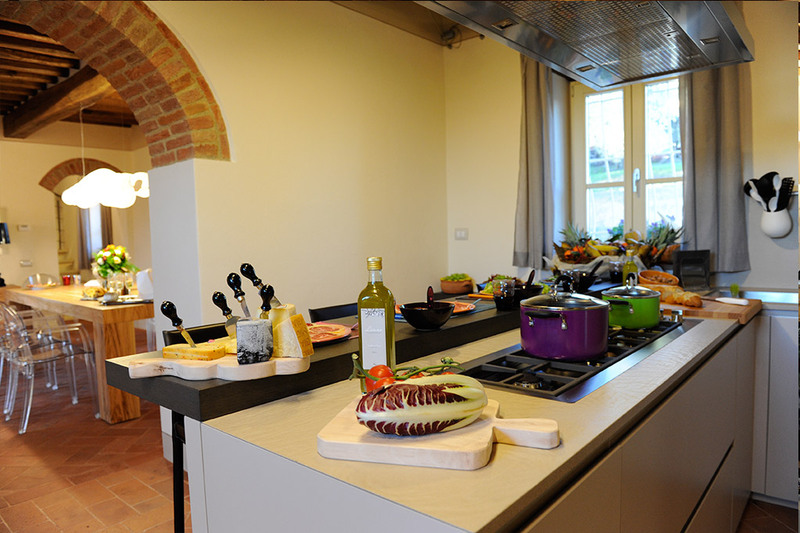 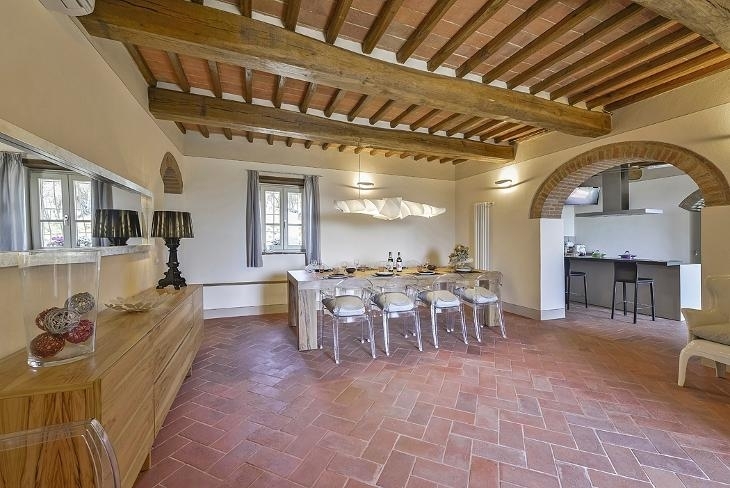 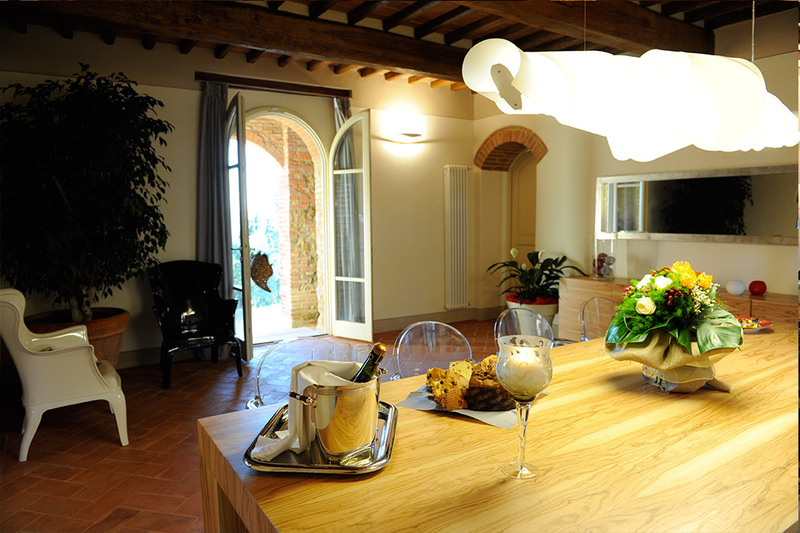 On the first floor there are two bedrooms “Luce di Levante” and “Zephir’s Breath”, a bathroom and a spacious lounge area with a huge ancient fireplace. 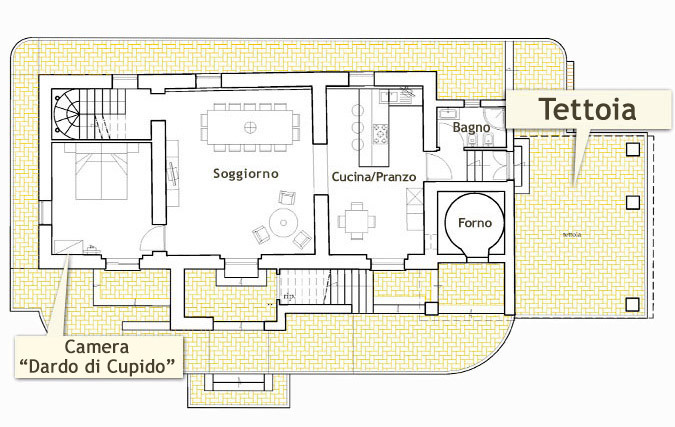 A Tower, which is the most original and distinctive architectural feature of the Villa, completes the structure. 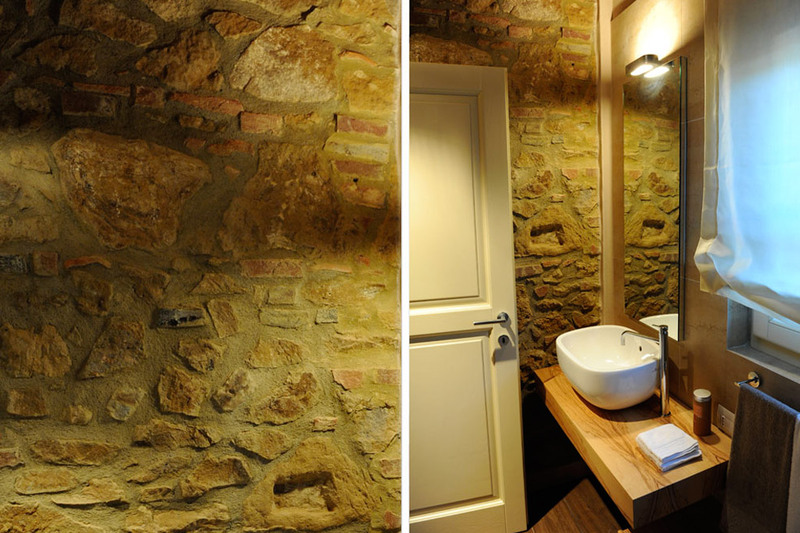 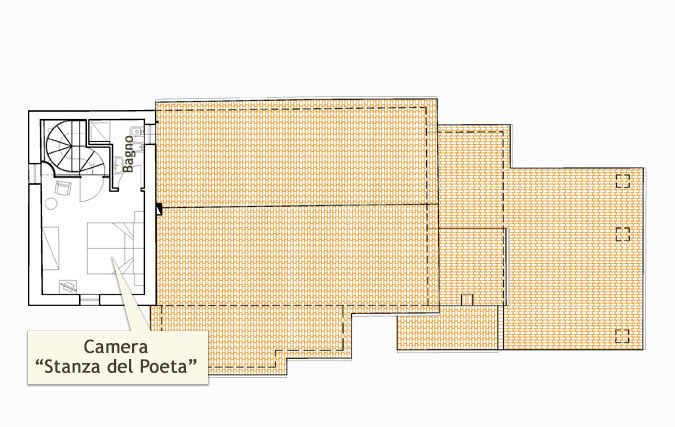 In the Tower there is the bedroom, “Room of the Poet” and the bathroom. 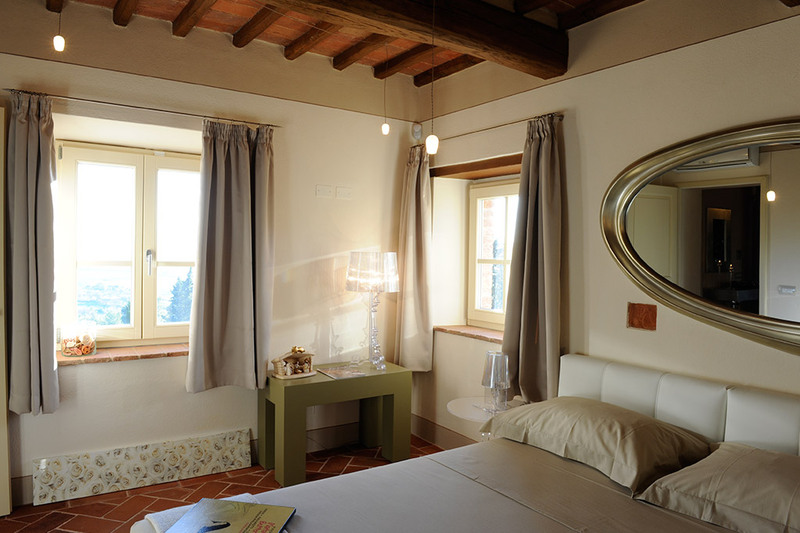 All rooms are tastefully furnished, air-conditioned and equipped with color TV appliances with satellite reception.